West Ham United have reportedly moved closer to the summer signing of Besiktas ​midfielder Gary Medel. The Chile international was linked with a move to the London Stadium last summer before deciding to stay with the Turkish club, but it looks like Manuel Pellegrini will finally land his compatriot when the transfer window opens in July. According to Turkish outlet ​Super Haber, Medel has agreed personal terms ahead of a free transfer to ​West Ham, with the 31-year-old eager to terminate his contract before the end of the season. His current deal expires in 2020 but Besiktas have been embroiled in financial issues with the midfielder, after withholding salary payments from the player who signed from ​Inter in 2017. Standing at just 5ft 6in, Medel is partial to a booking and has picked up 10 bookings, including one red card, in 31 appearances for the Super Lig side this season. 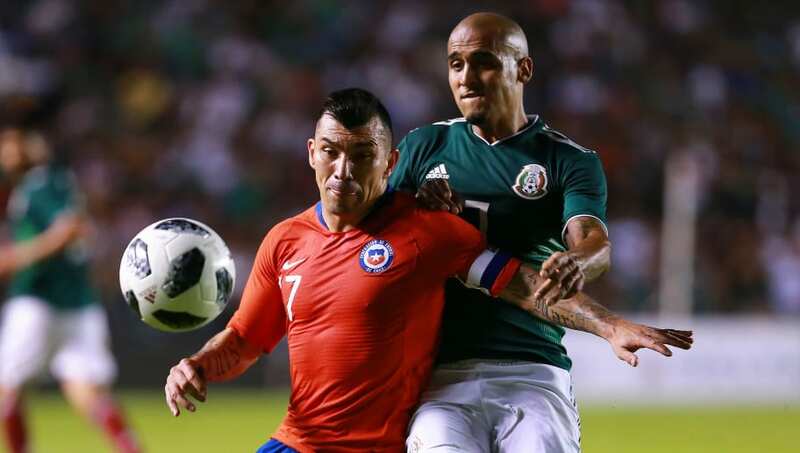 Medel has some Premier League experience under his belt after spending the 2013/14 season at ​Cardiff City, when he became the Bluebirds' record signing at the time following an £11m transfer. The tough-tackling midfielder made 35 appearance for Cardiff and became a fan favourite during his short spell in Wales, before playing every minute of Chile's 2014 World Cup campaign. Medel, who is also wanted by Serie A side Parma, swapped Cardiff for Milan and made 109 appearances for Inter over three seasons with I Nerazzurri. Now captain of his country, the Chilean would provide cover in midfield as well as defence for Pellegrini, who may be preparing for life without the in-demand Declan Rice. Rice has been ​linked with a move to Manchester United and Ole Gunnar Solskjaer has reportedly ignited the transfer saga with a bid of around £34m.